As if we needed another excuse to visit our local comic book stores, DC Unlimited is finally shipping its Ratchet & Clank and Resistance action figures to wherever fine monthly graphical literature is sold. It's been a long time coming. 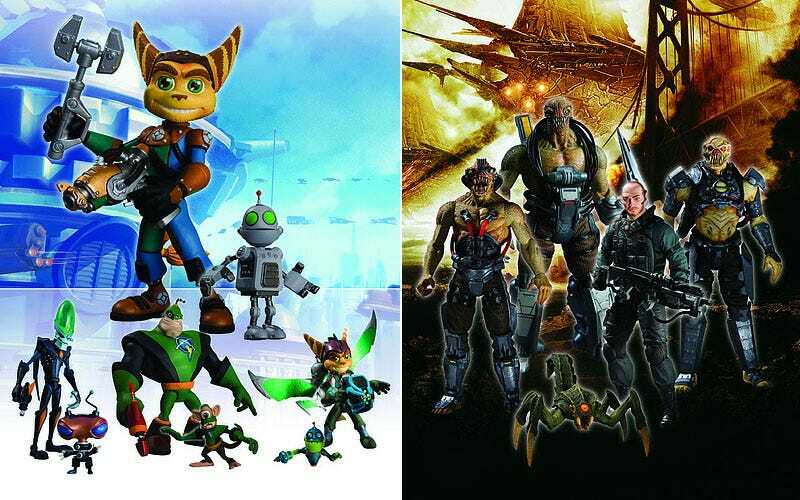 We first heard about the Resistance 2 action figures nearly a year ago, with the first news of Ratchet & Clank action figures coming two months later. Last we heard the R&C figs were hitting last month, but later is better than never. Here's a breakdown of the figure packs, direct from DC Direct. You might want to call ahead to see if your local store is carrying them, or better yet, stop by and buy some comic books.